Something got me thinking the other day. The thing is, have you noticed how difficult it is to find simple and short advice on the web these days? I mean, wherever you look, all you see are “ultimate guides” for this or that. And although I love in-depth advice as much as the next guy, it’s becoming really hard to keep up with the online world. 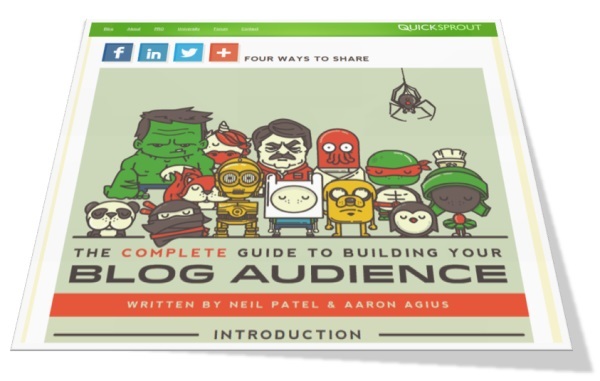 For instance, here’s the most recent guide by Neil Patel – the guide to building your blog audience. Want to take a guess at how many words it is? You know … the casual number of 30,000 words. I bet this is a nice afternoon read, provided that you don’t have a life to live and stuff to do. But I’m not hating. Not at all. I’ve actually had a quick look at some random chapters in the guide and they do seem to provide top-notch advice and insights from the man himself. In other words, if you have 30,000-words-worth-of-time to spare then go on, read it and then apply the advice to your blog. It will most certainly help you make it awesome. But what if you don’t have the 30,000-words-worth-of-time? What then? Are you effectively outed from getting quality insights? Ultimate guides – great for in-depth advice on a complex problem; upwards of 25,000 words. Infographics – there are better and worse, but the good ones achieve the goal of showcasing data-heavy information in an understandable manner. Short posts – explaining one idea in a simple manner; and not being connected to any specific big picture of things. Long posts – explaining one idea that’s a bit more complex; this type of post isn’t connected to any specific big picture either. Link bait – usually a gathering post where a number of experts chip in on some problem and share their advice; the idea is to then get those experts to link back to you. Filler content – content created for marketing/SEO/fill-in-the-blank purpose. And out of all of the above, I would say that the only type of information that’s usable in the long run is indeed the ultimate guide. The rest is just entertainment. Did I take action on it? Did I make any notes and included anything new into my business? Probably not. But that’s okay … me neither. 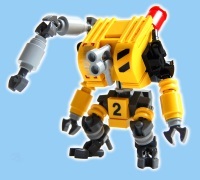 Ultimate guides, however, are a bit different. Whenever you’re going through one, the time investment is so significant that it simply feels bad not to do anything about it later on. Even if you end up not applying 100% of the advice, you will surely do something. Going back to my initial question, yes, you are outing yourself if you can’t devote significant time to ultimate guides. And this bothers me, personally. That’s why I’m aiming at leveling the playing field a bit. And I’m going to do it with the new series of posts coming out soon. Instead of being just yet another online business blog, I will focus on the essential, the actionable, and the easy to grasp advice. You can see a sample of this in my previous post – the comparison of the 5 top to-do list tools. Feel free to tell me if I achieved the goal or not, but the idea was to make that post usable even if you just have a quick glance at it and don’t actually read it. So to make this mission clearer, I’ve just published a manifesto. 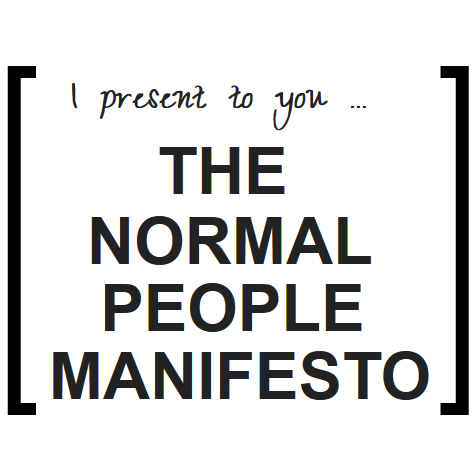 The Normal People Manifesto – I call it. In it, I explain what online business for normal people means, and what’s the first step to fight the information noise of the 21st century.